I can't believe it but MY DAUGHTER TURNS ONE ON SUNDAY!!!!! I don't know where the last year went and it definitely flies by faster when you have two children! Her birthday is on Easter Sunday so I am excited to have lots of friends and family in town for her birthday party. We are having a really cute ladybug themed birthday party planned and Zazzle has really helped us plan and prepare this party with their great personalized products! Zazzle is the world's leading platform for quality custom products. Zazzle’s rapidly expanding product base covers every topic imaginable and includes t-shirts, business cards, invitations, in addition to a variety of custom gifts. Upon creation, products are instantly and accurately visualized on the site and offered in the Zazzle marketplace. When ordered, each product is made on-demand, typically within 24 hours. They offer super cute baby themed products including baby shower invitations, birth announcements, and birthday invitations like we received. With Zazzle, you can make custom invitations and announcements for every special occasion and it is SO EASY!! We sent out and customized these super cute Ladybug 1st Birthday Invitations and they turned out perfect! I easily added in the date, time, location, her name and her cute picture! Zazzle let me easily preview the invitation before ordering and I received it looking exactly like I imagined! Plus, you can add photos and text to both sides of this flat card for free and choose from six paper types and nine colors. It features high quality, full-color, full-bleed printing on both sides and each invitation comes with a white envelope. I absolutely love her 1st birthday invitation and so did all our guests! 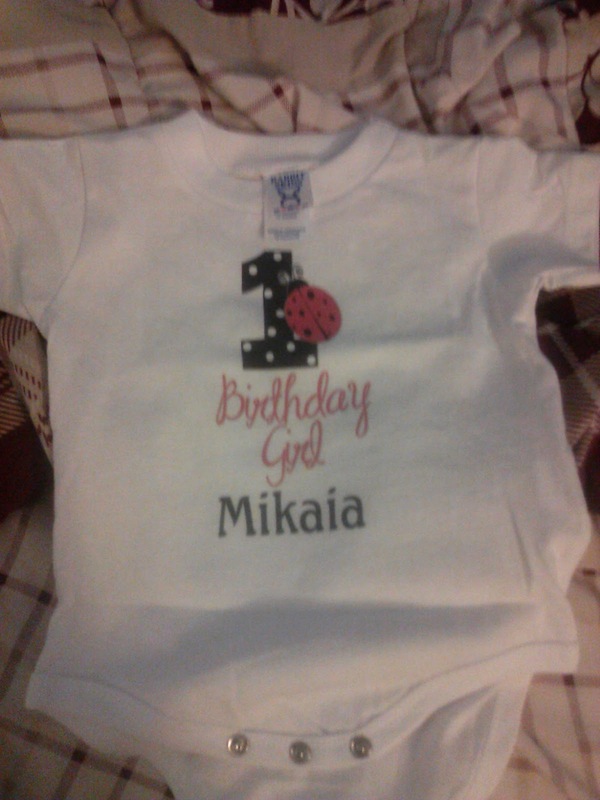 I also received a super cute 1st Birthday Ladybug Onesie shirt for my daughter to wear on her birthday! “That’s a really cute outfit!” That’s just what you’ll hear from the other Mommies when they see your tyke’s one-of-a-kind baby bodysuit, customized just for you. Made from 150g, 100% cotton jersey, it’s got short sleeves and three silver-coloured snaps for bottom/nappy closure. It was extremely easy to add my daughter's name to this shirt and even adjust the size to make the shirt look just like I wanted! It turned out super cute and I can't wait for my daughter to show off this shirt this weekend for her birthday! So next time you are planning a big or fun event like a baby shower, birthday party, or birth announcement, then let Zazzle make your stress a little less and do all the hard work for you! Just personalize, preview and order and you are done!